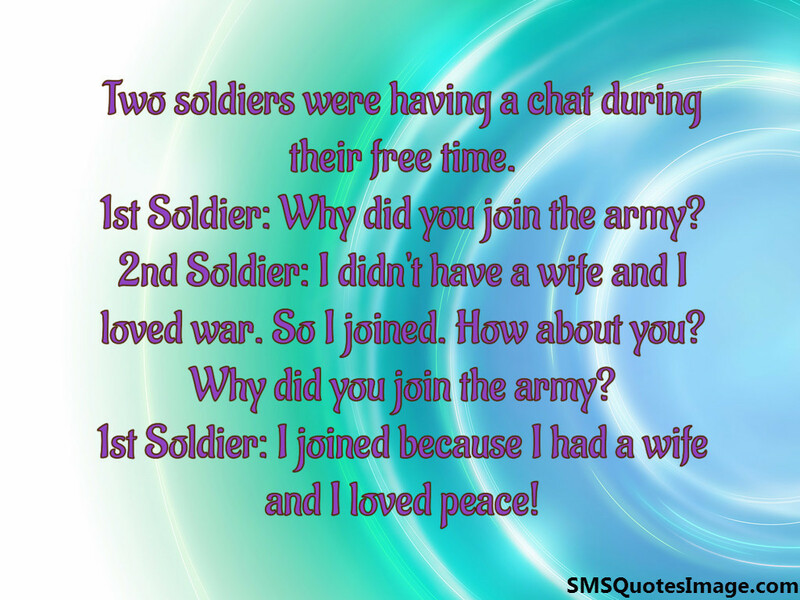 Two soldiers were having a chat during their free time. 1st Soldier: Why did you join the army? 2nd Soldier: I didn't have a wife and I loved war. So I joined. How about you? Why did you join the army? 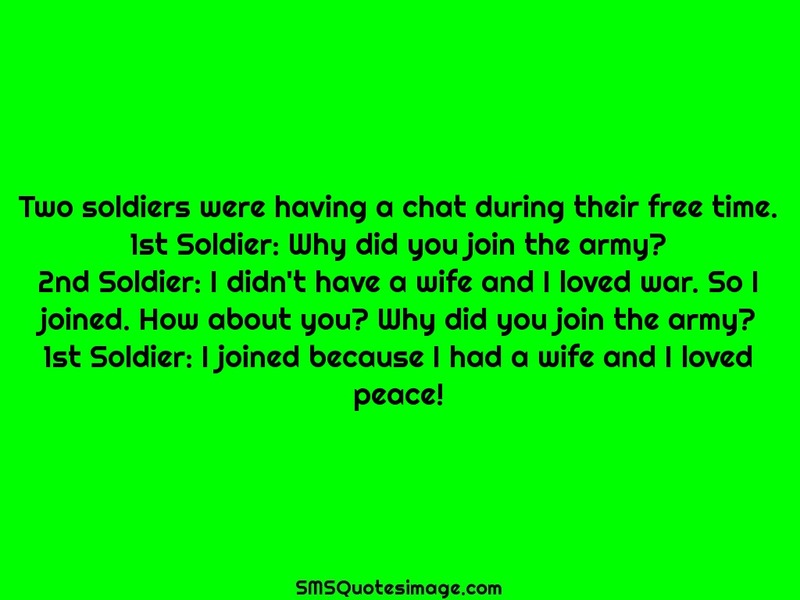 1st Soldier: I joined because I had a wife and I loved peace!